If aid isn’t delivered, children will die from hunger. UK Department for International Developemnt/Flickr. Kenya is currently experiencing one of the worst malnutrition crises in Africa today. Nearly 73,000 children in Kenya are severely malnourished and at risk of dying unless urgent aid arrives, according to a new survey conducted by organizations in the country, including UNICEF and Save the Children. 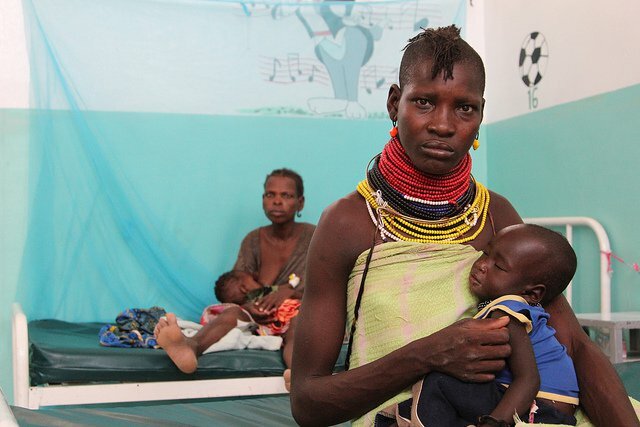 The survey, published Monday, showed alarmingly high rates of severe acute malnutrition in several of Kenya’s major counties — Turkana (8.3%), East Pokot (5.8%), Mandera (5.2%), Samburu (3.8%), and West Pokot (3.2%) — as well as extreme deterioration of nutrition and food security. In Turkana South, a scenic and historic region of Kenya, 12% of children under age 5 are currently suffering from severe acute malnutrition. Child malnutrition is the greatest contributor worldwide to child deaths before the age of 5. Severe acute malnutrition not only stunts growth but also makes children more susceptible to diseases and lowers their ability to combat illnesses. Global Citizen campaigns on issues related to famine and malnutrition as well as maternal health, knowing that access to nutritious and adequate food is integral to personal health and improving society. You can take action here. 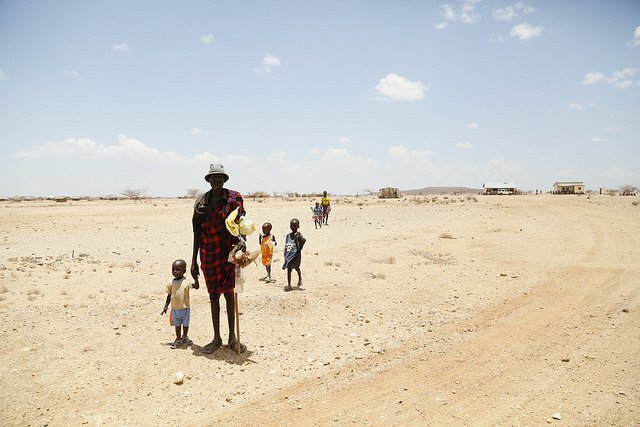 Experts attribute the severe acute malnutrition crisis to the drought that has swept through Kenya and many other countries in the Horn of Africa this year, the second consecutive drought year and the worst drought to hit the region in the past 60 years. The main factors behind the drought-related crisis are a lack of food supplies and stock and a rise in food prices, according to the ReliefWeb. Large numbers of malnourished children are at risk of dying from hunger and related complications, like diarrhea and cholera, according to ReliefWeb. Kenya’s crisis is reminiscent of a similar one that hit nearby Somalia this year, causing 800 deaths from cholera, and severe acute malnutrition in over 363,000 children. In Kenya, mothers are also facing extreme malnutrition, which can impact the lifelong health of their children and future communities. Approximately 40,000 pregnant and nursing women in the country are malnourished, a 20% increase from last year, according to the survey. Women who experience malnutrition while pregnant face heightened risks of mortality during labor and premature and low-birth weight births. The organization conducting the survey estimated that over 3.4 million people in Kenya are in urgent need of aid, an increase from 2.7 million in January this year. This includes over 420,000 children between 6 months and 5 years old. The nine aid organizations on the ground in Kenya that conducted the survey, including Save the Children, are calling on the local and federal government to prioritize funds and aid for the malnutrition crisis, including food programs for the most vulnerable.